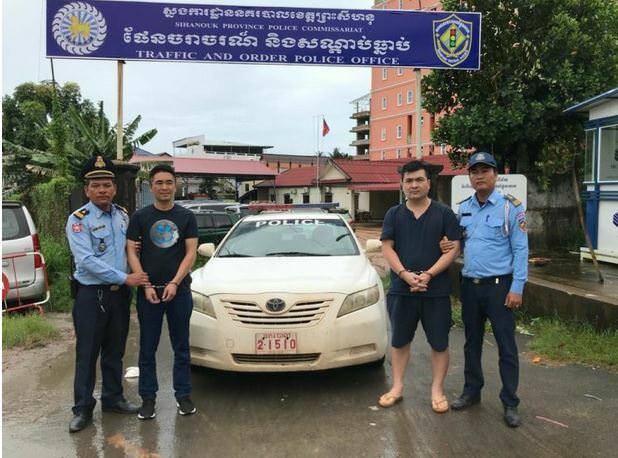 Preah Sihanouk province: Police chief Prum Pov said that on the morning of August 12, 2018, Sihanoukville's road traffic police sent two Chinese nationals to the Preah Sihanouk Provincial Court to be tried for traffic accidents causing death and injuries. In the first case, FANG GUANG FENG, a 43-year-old Chinese man holding a passport ********, crashed into a motorbike National Road No 4 Kilometer 148 in Stung Chhay Commune, Kampong Seila District, Preah Sihanouk Province, causing the victim to die at the scene of the accident on the night of August 9, 2018. 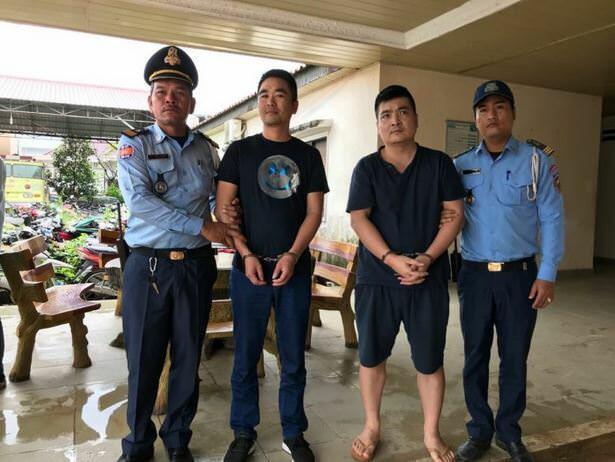 The second case, CHENG GIMAN, a 35-year-old Chinese national, passport number ********, was responsible for a car crash causing injuries. Smug cnut on the left!. Most normal folk wouldn't be smiling if they'd killed someone. Could be the other bloke that caused the death though. Probably looking care free as he'll buy his way out before the evening and back behind the wheel. Can only hope his smile turns to a look of horror as they bung them to the lions in Prey Sar! Sadly this type of news is becoming repeated every week and soon most days. That's if they catch them! Last night at around 10:40 PM.